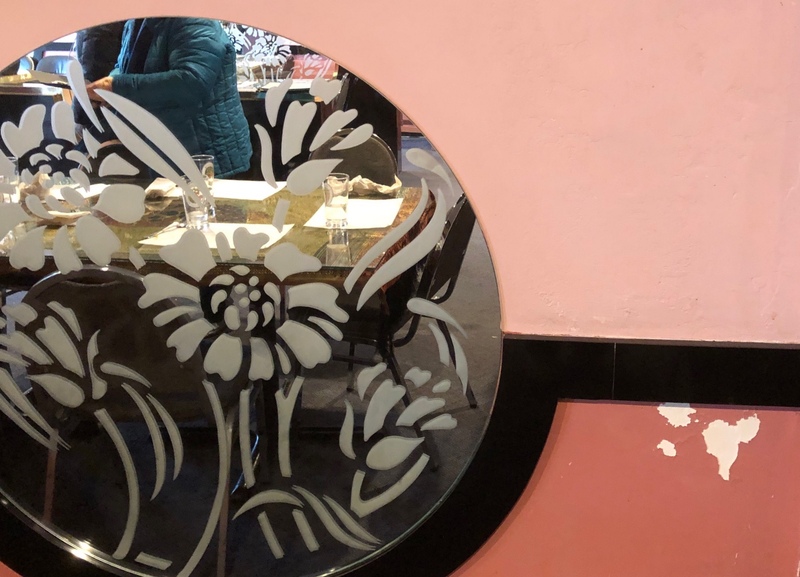 So I’m sitting with my work friends/colleagues for a business lunch at our favorite, friendly Liverpool quick getaway spot Bangkok Thai, and something amazing hits my gaze. 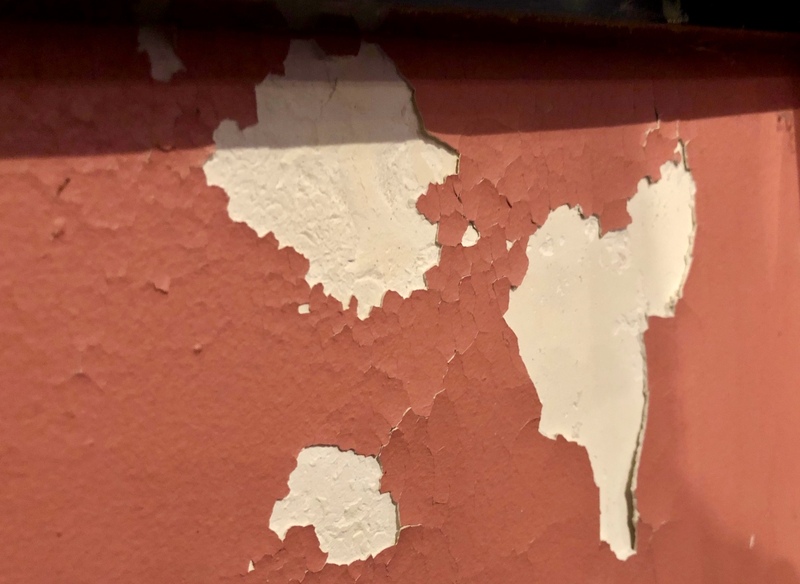 The faraway wall has paint peeling in a peculiar pattern. Or maybe somebody chipped it away on purpose. I did discern the shapes of large land masses I see on maps. Sort of. Maybe. My mind certainly does wander, Beth. It’s gotta be a map, Nance. I think it says something to us, MBC. Wow! A map of downtown Syracuse!